Delivering an optimal customer experience is, without a doubt, one of the most critical aspects of building a successful business. It is what directly influences the relationship between customer and brand, and helps drive loyalty. Many businesses are currently spending a majority of their time and resources on building a proper customer experience. This activity deserves to be a priority as it can lead to some truly unique connections. However, before you can focus on a forward-facing customer experience, you have to look inward. Crafting an engaging employee experience (EX) must come first. EX revolves around building a community, just like you would for customers, only it’s geared toward your workforce instead. Companies with great employee experience outperform the S&P 500 by as much as 122 percent. Today, an impressive 51 percent of business leaders say they have plans to create personalized employee experiences comparable — or better than — their consumer experiences. This illustrates that EX is the key for the future of business success. 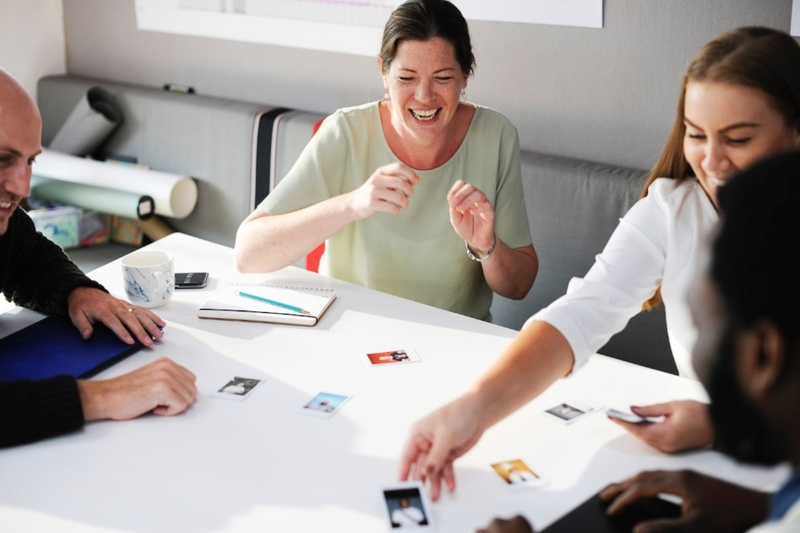 Employee experience refers to the environment, events, and programs that you provide your workforce, as well as the internal outlook this generates. Once hired, is your average worker’s experience positive or negative? What processes influence that? These elements comprise EX. There are many parallels between customer and employee experience. Both involve crafting an environment, community, and stream of events that shape the audience's perception of a brand. For CX, you want to boost reputation and influence the customer’s journey. You’re doing the same thing in EX, except there are no products or services you’re trying to sell. Therefore, the focus is less on marketing and more on building engagement within your internal teams. You want your personnel to trust in the company’s mission. Without employee buy-in, you cannot build customer experience. Companies that actively engage employees will generate 2.5 times more revenue than their counterparts with low engagement levels. Think of it this way: when your reps are selling, you want them to believe wholeheartedly in the product. For instance, if they are selling cleaning supplies, you want them to feel that the product literally outshines the competition, and will completely transform the user’s life in a whirlwind of fantastic cleanliness (or something like that). This does two things: it strengthens your salespeople’s pitches, and it also causes them to become more intensely connected with the brand. Their strong belief in the quality of the product comes across convincingly when making sales. EX goes beyond product loyalty; it also boosts employee retention. Your workforce’s desire to stick around is driven by a belief that leadership cares and values their efforts. The employee community delivers the company’s tailored value system. The stronger this community is, you can expect to see communication, collaboration and efficiency improve. This is similar to what happens for your customers after fine-tuning CX. "Before you can focus on a forward-facing customer experience, you have to look inward. Crafting an engaging employee experience (EX) must come first. @TheCXApp"
Beyond merely understanding what EX means for your brand, you must also consider what you can do to improve it. What are some methods for establishing an engaging experience program that resonates with your workforce? Before we discuss the most influential elements of an employee experience, it’s important to point out that no two brands have the same footprint. The values, mission, and structure of your organization are unique. You should never try to copy exactly what the competition is doing. When crafting the employee experience, look to the specific needs, desires and opportunities that your employees have and align with that. Remember, you’re creating this program specifically for them, so you want to relieve some of their pressures and improve their interactions with your company. You’ll notice how similar this is to crafting a modern customer experience, which relies on personalization and more relevant campaigns. Nowadays, thanks to the mobile mindset, there’s a greater emphasis on digital, connected experiences through platforms like social media, instant messaging and work portals like Slack and Asana. You should be asking yourself what kind of tools you are providing your employees. More importantly, how practical and convenient are those tools -- do they make collaborating across teams easier? Can those tools be quickly and reliably accessed from anywhere? The digital communications market has swapped from analog channels — like in-person meetings and phone conversations — to instant messaging, work-based social media, and collaboration platforms. The latter has seen an upswing in adoption, increasing at rates of 62 percent, 69 percent, and 70 percent respectively. Communication is central to smooth operations within any company, so a proper mobile-friendly digital solution should be a high priority — if it isn’t already. Unfortunately, only 40 percent of the workforce claims to know their own company’s goals, strategies, and tactics. EX also pertains to internal processes and events that happen within your company. On-boarding for new hires, as well as training processes influence personnel’s outlook. Also, is the learning process ongoing, or does it have a more attainable endpoint? Moreover, the average experience also includes interactions with the company culture. These interactions can consist of newsletters and information channels where people get proprietary information. Such experiences result in habits that your workforce picks up over time. 79 percent of employees at companies that are known for providing above average customer experiences are highly engaged in their job. Internal maintenance — providing strong, positive brand experiences for your workers — is paramount to building engagement. How involved is the leadership within your organization? Do they lead by example? Believe it or not, this has a profound impact on the employee experience. A workforce needs active support and guidance. One component of building a proper system is to deliver regular insights to your workforce, through consistent content streams. This means a blog or online space only meant for your internal teams, not outside consumption. The blog can include informational videos and audio, articles, app-based content or even email newsletters sent via company networks. Although 78 percent of company executives believe in the importance of digital and transformational leadership, only 5 percent have established strong digital leadership development programs. Finally, we have the real entertaining portion of the employee experience. No one should be expected to work endlessly -- after all, we are not machines. People need occasional breaks from monotony. To boost the experience, why not introduce a friendly competition with some exciting prizes? Or, skip that and go straight for gamification -- which makes the working environment more playful. 70 percent of the Forbes Global 2000 companies will deploy gamification strategies to help increase engagement, retention, and revenues. There’s also the option to have company-sponsored activities like an employee field day or holiday parties. The most engaged employees are the ones ingrained in company culture; they are sharing insights, taking part in activities, and ultimately being very productive. When your workforce is engaged, overall collaboration improves across all channels -- for partners, vendors, and customers. Every CX project is a practice in organizational culture that starts with employees and stretches all the way to the top. What is the culture you are fostering for your personnel, the most important contributors to your business and brand? How are you giving back to them? Are you providing the tools and resources they need? Are you concerned with, and taking action to optimize their health --mental, physical and emotional? The tools and space you provide for your workers are also encompassed in employee health. Did you know that employees who have a choice in when, where and how they work tend to have much higher levels of satisfaction? Higher satisfaction contributes in turn to more innovation and better performance. A strong employee experience needs to be part your day to day. Once again, without proper EX, you cannot have a successful CX.